Our neighbour and park friend Laura Repo playing at Wards Island Sunday August 28. Artscape is pleased to announce the beginning of the tenanting process for the Green/Arts Barns Project and is now accepting applications for space from non-profit arts and environmental community organizations. The community organizations will provide energy, imagination and programming to the Green/Arts Barns Project, creating a dynamic that will transform the beautifully redesigned heritage buildings into a model for innovative creative redevelopment in North America. Affordable artist live/work and studio tenants will also contribute to this creative synergy and individual artist tenants will be selected during a later phase of the development. Deadline for Submission: February 15, 2005 by 5:00 p.m.
Did you know that there is a National Historic Site in our neighbourhood? 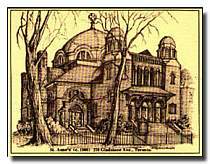 St. Anne's Church at 270 Gladstone north of Dundas was named for its Group of Seven paintings and its Byzantine architecture. 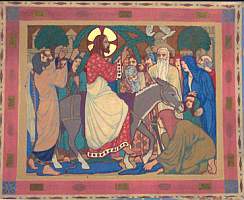 For more about St. Anne's, visit their website. Notice from Pamela of Slowfood Ontario -- A slowfood-like dinner in Toronto on Feb.23: www.savourflavour.com: events, Slow Food. For information about the international slowfood movement, see www.slowfood.com. Join your creative friends in the community as Mondo Bazaar returns with an array of eclectic designers, jewellers, artists and entrepreneurs. From hand made stationary to home accessories the Gladstone Ballroom will be transformed into a market filled with one of a kind creations and handpicked items from exotic lands. Sip a cocktail as you shop or relax with an aromatherapy massage. Surprises for moms in honour of Mother's Day weekend. Admission is free and from 1:00 - 3:00 kids have their own arts and crafts area. Invite along friends and family who enjoy supporting small business and local artists. For the next two years, the Royal Conservatory of Music is a temporary guest in the neighbourhood (the school is doing renovations at their permanent building, which is next to the Royal Ontario Museum, at Bloor and University). So the music students are among us, at 90 Croatia Street (formerly Ursula Franklin Academy - it was Brockton School before that). 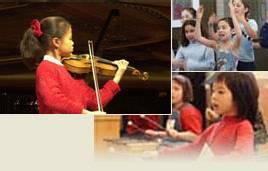 Jeff Melanson, the Dean of the RCM Community School, says that the first Annual Community School Showcase will take place on Saturday, April 16, at 7:00 pm, at the RCM Concert hall at 90 Croatia Street (a block from the park, just north of the Dufferin Mall). Tickets are $10 for adults and $5 for students/seniors. You can reserve tickets in advance through the Box Office: 416-408-2824 ext. 321, or purchase them at the door on the night of the concert. Jeff says: "Unlike our world music and jazz concerts, this concert is being presented entirely by students. The concert is special because it involves just under 200 students and it’s a fundraising concert that will support student bursaries and programs of The RCM Community School. The programs supported by this concert are directed to students for whom financial circumstance is a barrier to participation in music education." The concert will feature Jazz Choir, Ghanaian Drumming, Suzuki Cello Group, Guitar Ensemble, Chamber Orchestra, Celtic Fiddle Class, Clarinet Quintet, Piano Duo, Trumpet Trios, World Music Chorus, Recorder Duo, Junior Choir, and Vox Continental Choir, piano, voice, violin, and harp soloists, and an art exhibit of works by our young students. The Latin Jazz Ensemble will play during intermission. That is some line-up! And then there are also frequent free recitals at the school all the time. In April, for example, there are recitals at five p.m. every Thursday. If your schedule has a bit of flexibility, you can start your farmers’ market shopping at the park at 4, park your groceries in the rink clubhouse lock-up, slip in to a fourth-year French horn recital across the street, and come back to finish your shopping - heartened by a young music-maker. If there’s an unseasonably warm spell in May, we’ll do a special Friday Night Supper at the park to raise a bit of money for music school tuition. Katie, a piano student from the Conservatory who sometimes came to the winter rink suppers, told us that the music students really like this neighbourhood. We like them back. For more information about the free recitals (on every weekday except Tuesday, and also on some Saturdays), you can go to the park web site at www.dufferinpark.ca and click on "neighborhood." [ed. This page!] You’ll find other arts announcements there too, either about events in this neighbourhood, or about performances put on elsewhere in the city by some of the many actors, musicians and dancers who live around here. 1 street east of Dufferin, just north of Dundas St.
Dovercourt is having our Annual Spring Fling Fair on Saturday May 28th. 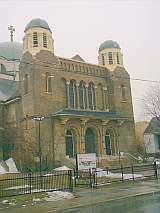 (Our address is 228 Bartlett Ave, southeast of Dufferin and Dupont). The yard sale tables will be open for business at 10am with the rest of the activities and entertainment and BBQ starting at 11am. Table rentals are $10 and are available through Michelle at 416-516- 4736 or call the school at 416-393-9220. 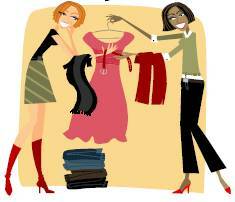 We invite people to sell crafts, offer information on their business or bring their yardsale to our yard. There will be a huge BBQ of hamburgers and hotdogs with homemade goodies, popcorn, candy floss, drinks and freezies. We have dance troupes coming to entertain, plus storytellers, a puppet show, loads of fun activities and races. We even will have a huge bouncing ride to play in. We are selling raffle tickets with all the prizes donated by local businesses with the winners taking away their prizes at the end of the day. Tickets can be purchased ahead at the school office or through our students and parents. Some of the numerous prizes are a two person Harbourtour cruise aboard the Empire Sandy ship. Many gift certificates to a variety of local restaurants. An awesome kids bike in hot yellow with a helmet and bike lock, compliments of Walmart. $100 in Zellers coupons. Two $100 Walmart gift certificates. Two gorgeous Black leather and wool adult jackets. A portable CD player. The list goes on and on. This Fair is Dovercourt's main fundraising activity. It assists with literacy and enrichment programs for the students and we welcome any and all support from our community with this endeavour. The festival is our main fundraiser of the year. A great family outing for a good cause. 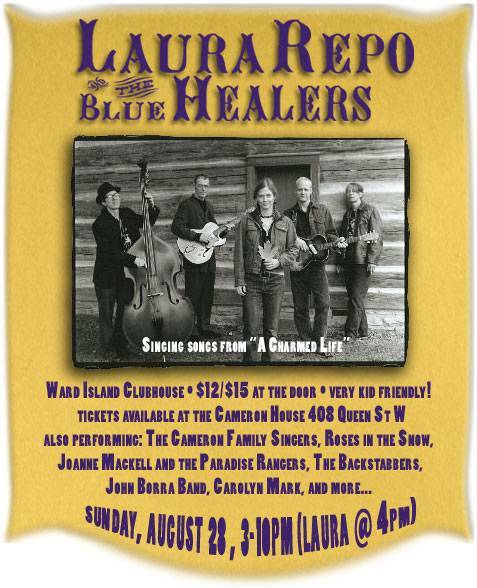 Our neighbour and park friend Laura Repo is playing at Wards Island Sunday August 28. Concord Avenue is celebrating its 3rd annual Car-Free Day street party this Sunday, September 18 on Concord Ave from Bloor to Dewson. 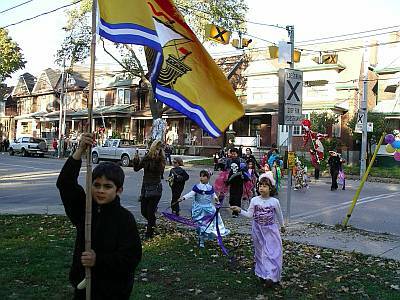 The day starts at 9:00 a.m. at 182 Concord Ave. where kids can come to decorate themselves and their bikes for a kick-off bike parade at 10:00 a.m. The rest of the day will be filled with face-painting, music, performances, magic, street hockey and badminton, kiddie pools, tie-dying and more. A potluck dinner will be set-up at 6:00 in front of the church near Bloor and the evening will end with an 8:00 p.m. screening of the documentary "The End of Suburbia" on the wall of Long and McQuade. The street fair has the same excellent format as always: 9.30 a.m. lawn sale along Havelock on the park grass (south of the school); early afternoon (check the park phone message for exact times, 416 392-0913) games (egg race, sack race, etc.) near the baseball diamond; 6.30 p.m., potluck dinner by the pizza oven (pizza-making for the kids), followed by the Cake Walk and some dancing. For the past three years there was square dancing on the street, organized and sometimes paid for by David Craig, but getting the street closed is always tricky. So this year, part-time park staff Eroca Nicols will put on her other hat (she is a dancer) and will lead line dances, salsa, and anything else that’s fun for groups, on the rink pad after the cake walk. Eroca is consulting with long-time park friend Vivienne Smetana about the line dances. It turns out that Vivienne choreographs and teaches line dancing all over the world, including Texas and Russia. It's time to clean out your basements for the annual Street Fair lawn sale on Havelock street. Join your neighbours for a potluck dinner in the park, and celebrate the changing of the seasons! 10 am: Fantastic Lawn Sale - Clean out the basement and browse for bargains, east side of the park on Havelock. 12 pm: Hot Dog Lunch, courtesy Councillor Giambrone, around 157 Havelock St.
7:15 - CAKEWALK: Celebrate your culinery creativity and bake an original cake for your contribution to the potluck! Special Event: After-Dinner Dancing on the tennis courts. Dufferin Grove Park Friday Night Supper in honour of MacGregor Park Friends, Friday September 23, 6 p.m.
MacGregor Park was one of the first “playground parks” in Toronto, established in the 1920’s for the children of the workers in the industries that sprang up along the railway tracks. Up until about ten years ago the park was very busy, but more recently it became a bit of an orphan. Park neighbour Anna Galati worked with Parks and Recreation staff to put better programs in for the summer, and the children started coming back. (and Anna helped us at our park for the last two weeks of August). Kristen Fahrig will run a fall kids’ art club in MacGregor Park’s solid old field house, making big papier mache masks to prepare for an October festival there. The art club starts Saturday Sept.10, from 2 to 5 p.m. For more information, contact Anna Galati at 416 535-9032. For the next two years, the Royal Conservatory of Music is a temporary guest in the neighbourhood (the school is doing renovations at their permanent building, which is next to the Royal Ontario Museum, at Bloor and University). So the music students are among us, at 90 Croatia Street (formerly Ursula Franklin Academy - it was Brockton School before that). In April and May there are frequent free recitals at the school frequently. 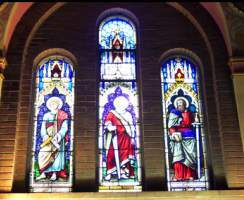 For example, there are recitals at five p.m. every Thursday. If your schedule has a bit of flexibility, you can start your farmers’ market shopping at the park at 4, park your groceries in the rink clubhouse lock-up, slip in to a fourth-year French horn recital across the street, and come back to finish your shopping - heartened by a young music-maker. Temporarily at 90 Croatia Street near the Dufferin Grove Park [map]. The Community School is temporarily located in our neighbourhood (2005-2006), while the RCM Telus centre for performance and learning is constructed at 273 Bloor street West [map]. This gives our neighbourhood rare access to local concerts and events. Is it time to revive the Dufferin Grove Neighbourhood Residents Association?